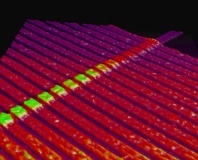 Hewlett Packard and SanDisk have announced a long-term partnership to develop a new technology for Storage Class Memory (SCM) combining the best of memristor and ReRAM. The memory industry is currently working towards a homogenisation of memory types. Where today we have volatile but fast system RAM and non-volatile but slow flash memory, the systems of tomorrow may simply have a single pool of high-speed non-volatile memory which can be used as either - doing away with the laborious task of reading data from storage into RAM, modifying it, then writing it back again. Early work on this is already bearing fruit: Intel and Micron's joint partnership on universal memory technologies has created 3D Xpoint, some thousand times faster than traditional NAND flash modules. Now, HP and SanDisk are getting in on the game. HP has been working on memristor technology for years, partnering with memory giant Hynix in 2010 and announcing a new class of computing device based around the technology, The Machine, in 2014. SanDisk, for its part, has been looking to build ReRAM products - and HP's memristor know-how could be key. As a result, the two companies are combining their efforts in order to gain an early foothold in what has become known as the Storage Class Memory (SCM) market. 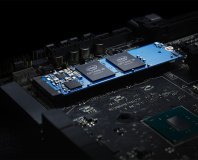 While commercial, large-capacity ReRAM products may be a few years away at present, the two companies have also agreed to work on datacentre-centric solid-state drives (SSDs) built around more traditional NAND flash modules.